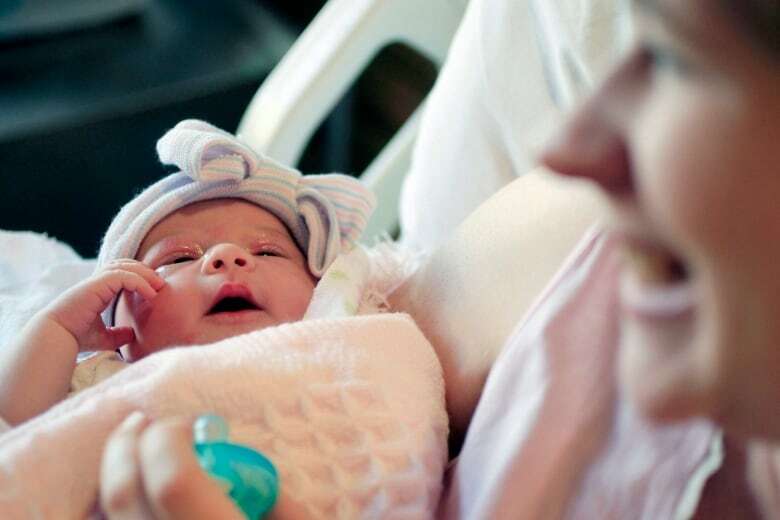 A post-pregnancy support group is offering a new texting service to make getting help easier for new parents who might otherwise struggle to pick up the phone and call the helpline. A support group for new and expecting parents is offering a new texting service to make getting help easier for parents who might otherwise struggle to pick up the phone and call the helpline. The Pacific Post Partum Support Society, based in the Lower Mainland, has been running a phone line help service for 45 years to help mothers, fathers and other caregivers through difficult times. "Picking up the phone and actually talking to somebody can be challenging," said society director Sheila Duffy. "Basically, we're just making that the first point of contact easier." The society, a peer support and community-based program, offers telephone counseling and weekly support groups. They currently receive about 5,000 calls from British Columbians in need each year. An estimated one in six women and one in 10 men experience feelings of depression or anxiety when a new child arrives, according to the society. "You don't have to have a diagnosis of postpartum depression [to reach out]. You could be just having a hard day and need to talk to somebody," she told Stephen Quinn, the host of CBC's The Early Edition. "Regardless of the severity, we all need support." Duffy said she hopes a texting option will reduce some of the barriers to seeking help whether that's because of the degree of anonymity texting gives or simply its accessibility. "You could be anywhere — you could be sitting in a coffee shop or you could be in the living room with a bunch of other people — and be able to get support," she said. In a pilot project, the society found that many of the people who initially reached out by texting later ended up talking to someone on the phone and receiving additional help. "But even if it's just through texts, it's amazing how it's possible to support somebody and to actually feel supported." Duffy added. For now, the texting lines will be monitored two days a week, on Wednesdays and Fridays from 10 a.m. to 3 p.m., but Duffy anticipates the project to grow with more funding. The phone lines continue to be open Monday to Friday. Call or text 604-255-7999 to reach the society.